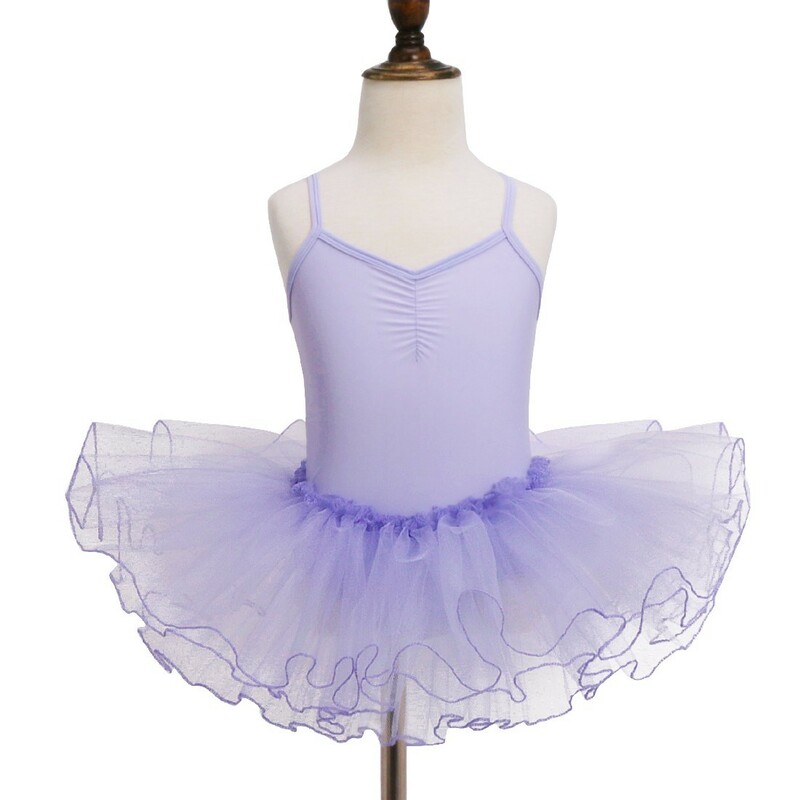 Beautiful Girl's princess tutu ballet dress, spaghetti shoulder straps. Stretchy smooth top bodice with ruched detailings. 3 layers mesh tulle with built-in knickers. It's perfect for ballet dance or fancy dress party.